To retarget users, marketers are sliding too far down the proverbial rabbit hole. But with time, every marketer realizes that to move the needle, experimenting with different strategies, especially with different channels is what hits a home run. 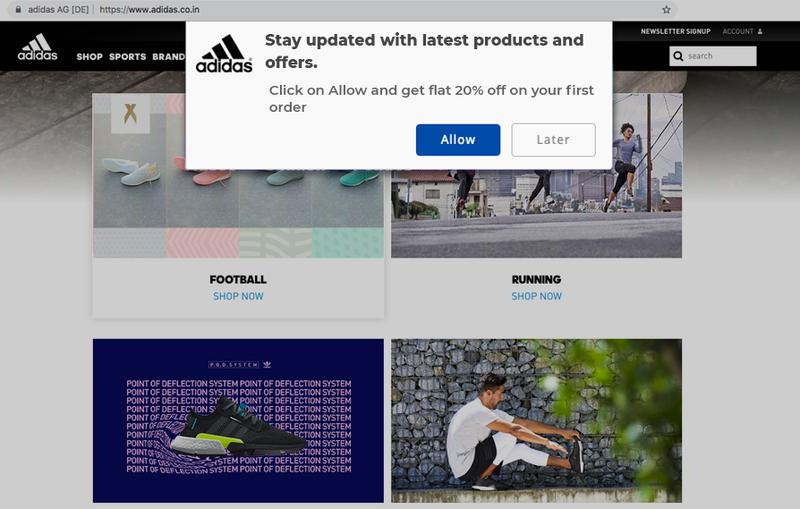 Read on to know why Web Push Notifications have turned out to be must-have ammunition in marketers arsenal to bring back lost sales. SimpleCPR, a leader in online safety education in North America for over 20 years, sells courses to help people effectively react in emergencies. While they receive an overwhelming supply of 50K visitors per month, it was a challenge to retarget users who did not buy the courses. The team at SimpleCPR held a meeting to tackle this problem. They wanted a solution that would help them serve customers better by helping them in selecting the correct course or to retarget them for payment reminders. They decided to give Display ads a shot, as this was one channel that most of the e-commerce brands embracing blindly. Gradually they realized that their banner ads were suffering from banner blindness! They were back to square one. The marketing team at SimpleCPR yet again started researching for other channels. Enter Web Push Notifications. And they never looked back. SimpleCPR clocks a conversion rate of 2.3% and achieved a 5x ROI in less than a quarter. 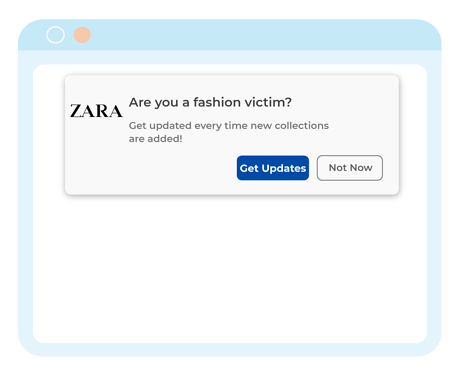 If retargeting was a person, it would be in it’s mid 20’s and on a high. Yet you will find marketers pulling their hair out to bring back the 98% of users that leave without buying. 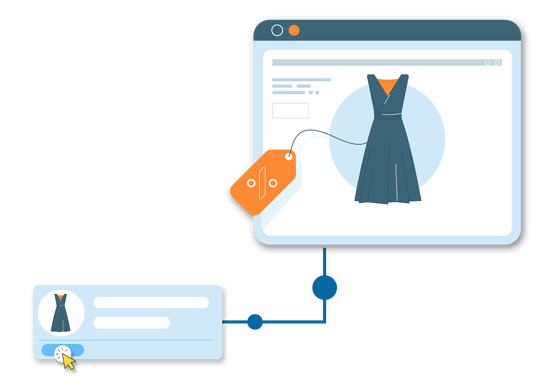 Read all about retargeting for e-commerce in this indepth guide. 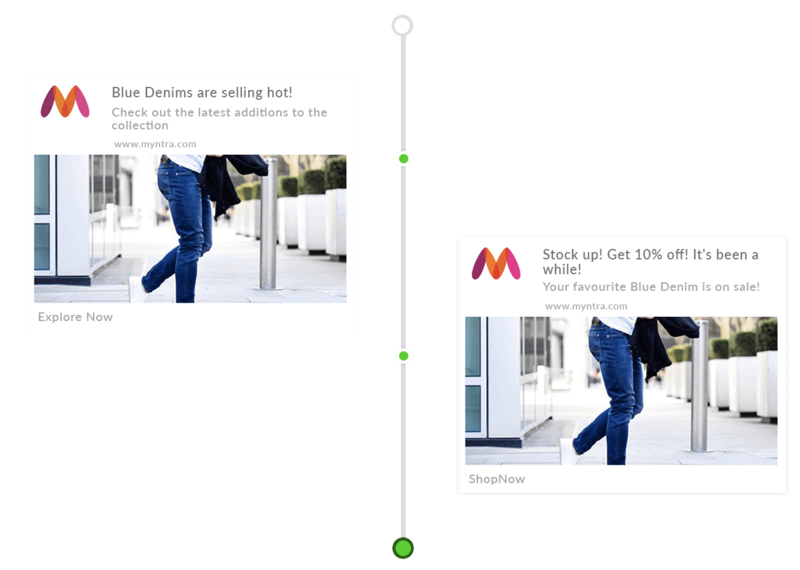 While it is necessary to bring the right traffic to your store, it is futile without a retargeting setup. Over time, users have got immune to receiving such messages and it fails to excite users to take any action as such (just like the SimpleCPR story you read above). At times of saturation, there arose a need for a new channel, something that users would willingly give permission to receive and that wouldn’t go completely ignored. 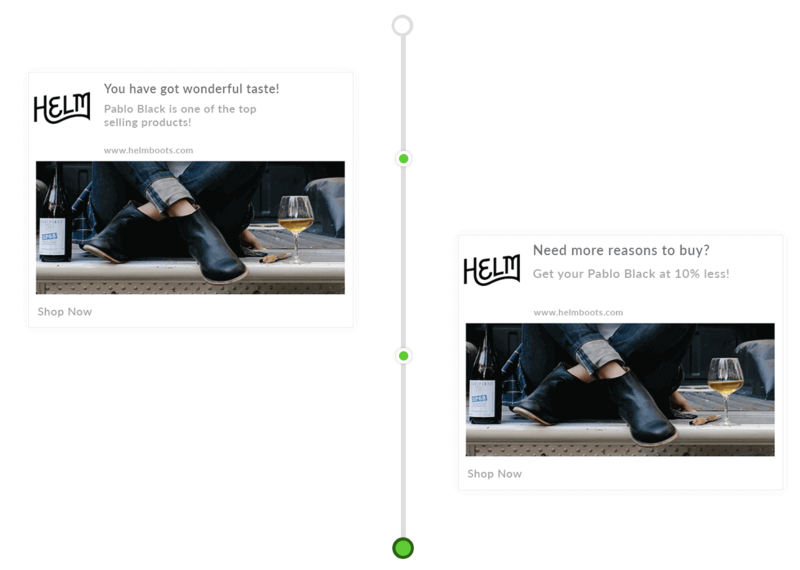 That’s when Web Push Notification came as a sigh of relief, a breath of fresh air, for all marketers who had to meet their marketing targets. 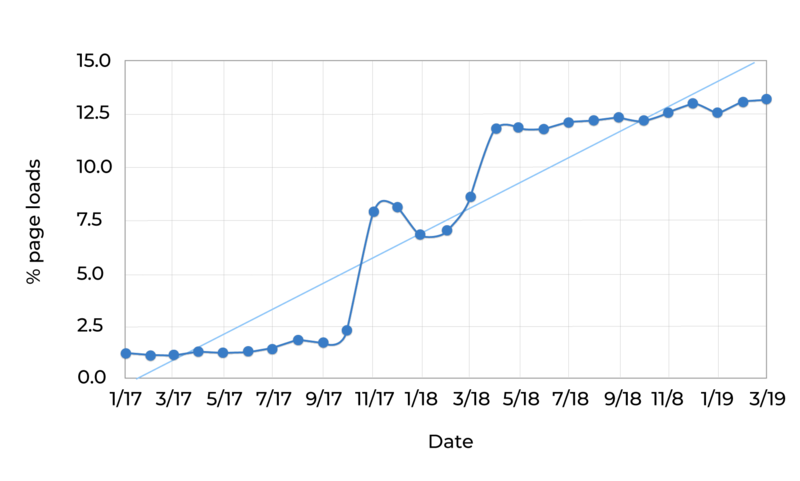 While web push notifications is barely 4 years old, the adoption has been off the charts. Chrome report tells that over 10% of the pages on the open web leverage web push notification which is a mind boggling. 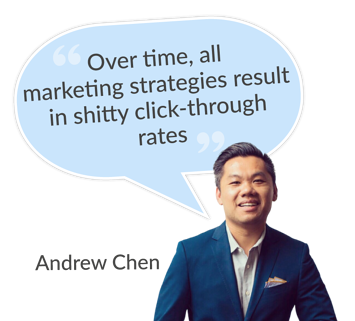 Here is what you already know - A chunk of your traffic will never come back. This fact is proven to death. But retargeting has the power to bring back lost sales. Approached the right way, your target audience will subscribe to notifications without a second thought. Subscribing to web push notifications gives uses a fast lane- They do not have to share their email address, phone number, the name of their first pet or any personal information for that matter! As it is a permission-based channel, it requires user consent before the notifications can be sent, thus making it spam free. 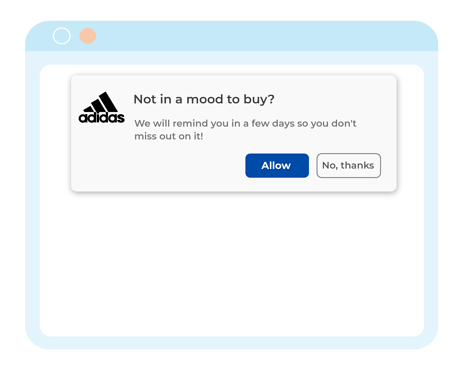 One can conveniently unsubscribe from notifications they don't want to receive, making it easy for uninterested users to stop receiving the notification, and you, to maintain a captive audience. How would you feel if you were to be directed to a section in a store which has your size sold out? And this happens more than often. 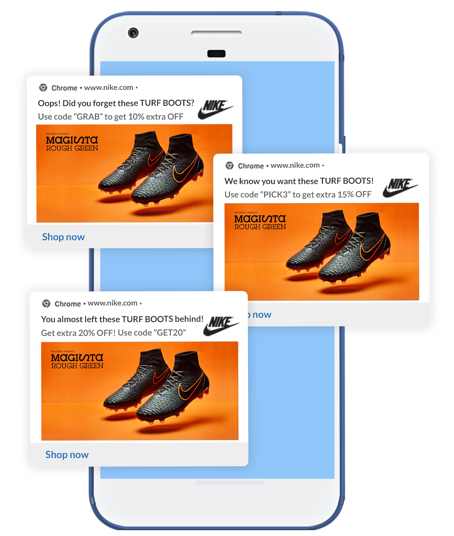 But you can capture these users by asking them to subscribe to your notifications, which would notify them when the product is back in stock. Saves them a lot of time and energy rather than waiting for the right size/color to be back in stock. Chances are that they will definitely subscribe to the notifications. Have you ever been broke at the end of the month that you had to save stuff for later? Well, your users might be at that stage of their life. Or maybe they are weighing options or they want to know their friends opinion on it. Either way, you can nudge them to subscribe for notification reminders, so that they are updated about the products in their wishlist. Who doesn't like discounts? Have a sale coming up? Is that product going be on an offer? Harness the opportunity to lure users into subscribing. Let’s say that you are a huge fan of Nike. And there are new products added to the product line. Wouldn’t it be a bummer that you miss out on it, just because you forget or didn’t know about it in the first place? Use the FOMO technique to lure users into subscribing to your marketing list. What makes it the near perfect retargeting solution? Web push notifications are crisp updates that are to the point. No beating around the bush, no flashy words, just plain information just the way it should be. With one-click redirection, web push saves both time and effort. The other day, for instance, I was watching Russian Dolls on Netflix and I got this notification that the black shoes I had in my cart were selling for 50% less! All I had to do was click on the notification and I was redirected to my cart. Are your users using Chrome as their default browser on Desktop? No problem. Does your other half of the users using Safari on their Laptop? Don’t sweat it. Are your users out for coffee with just their Android phone? Web push notifications has got it covered. 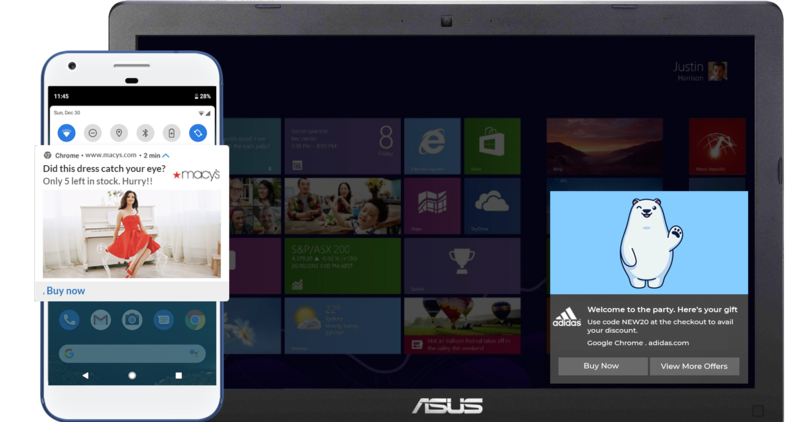 No matter where you are, what device you are using*, web push notifications has got your back. When it comes to bringing back users to the website, because of its prominent visibility, the information is conveyed in a jiffy across all devices making it easier to bring back to your site faster. The CTA buttons make it possible to land on the exact intended page making life easier. Web push notifications do not occupy any space on any device or in your inbox. 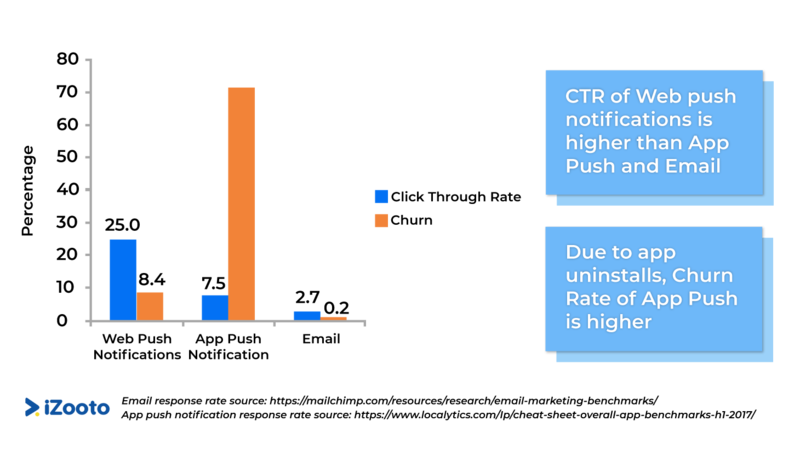 As we examined earlier in the graph, the churn rate with app push notification is higher compared to email and web push notifications, one of the reasons being that the app takes up a lot of space on the phone. Retargeting messages on mail tends to get buried in the ‘n’ number of emails you receive every day piling up the inbox until it can take no more. What is the point if your users do not feel that you are giving them personal attention? They would start feeling annoyed and eventually leave, like all relationships. You need to create a bond with your users, provide them value and make them feel wanted. You can achieve this by acing personalization and sending them targeted notifications according to the demographic, location, their interests, and activities performed on the site. Imagine receiving an update on cat food when you just own a dog. It is that absurd! As absurd as the notification I received on shaving cream a few days back. While giving every single person dedicated attention might seem impossible, it is not as tricky as it seems. 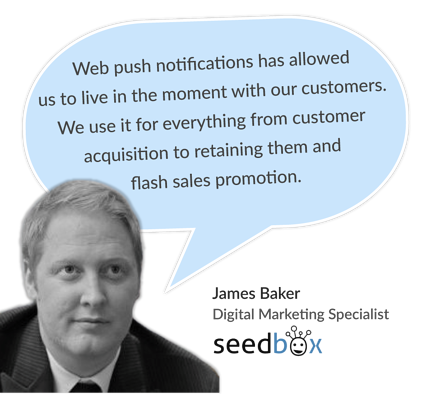 With web push notifications, you can capture the right moments to reach out to the users to nudge them to convert. To delight users, you need to capture them in their marketing moment with the right context. Human behavior is such that an action is mostly triggered by multiple nudges. Sometimes they might be contemplating or sometimes they might need reassurance. Web push notifications help lure the user by reminding them about the products with timely notifications and encourage them to convert. The more you show a product they love is proportional to the intent of purchase. You can set when you need to send out the notifications at what interval they need to be sent and the frequency of the notification can be predefined. Your marketing calendars can be planned in advance to run things smoothly without last-minute hassle. It gives a feel of personalized when in reality it is an automated notification. Saves time, energy and rescues you from a headache. Automate and let web push notifications do its magic. 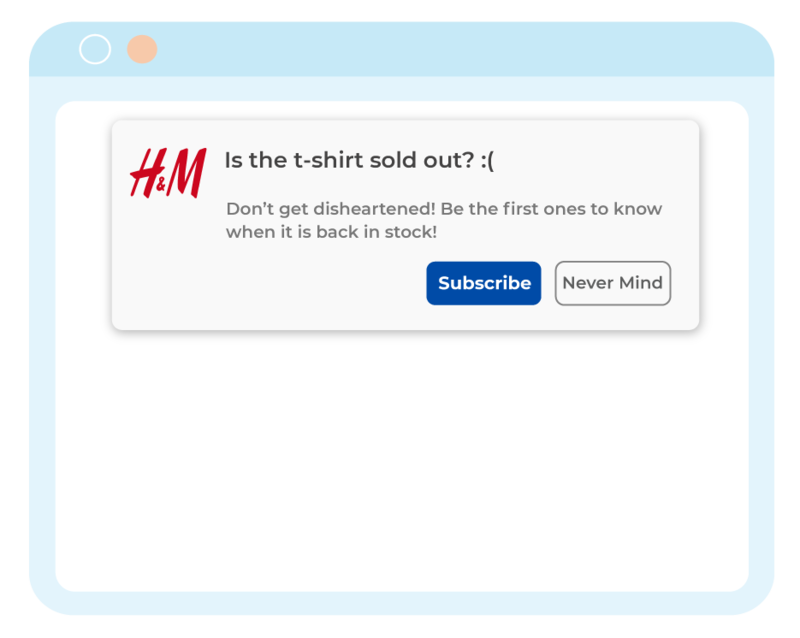 All that is swell- Automate and send out a series of notifications to retarget users. But the million dollar idea is not just to automate, but to reach out with triggered responses according to users activity on your website. With web push, you can have a predefined template, that has all the text and CTA’s in place. While it gets pushed at the time you have defined, it automatically picks up the Name and the Image of the product they have abandoned. When it comes to drip, many bucket users according to the events like user Adding to cart, user, adding to wishlist and so on. Rather than focusing on the event, the prime focus needs to be on the user - ‘When’ the user added to cart and when the user added to the wishlist. 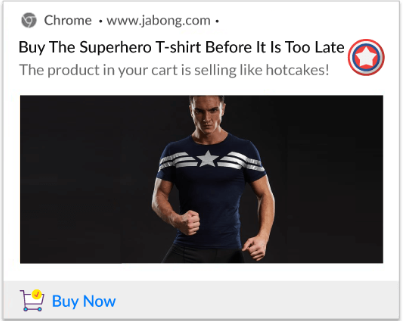 It is only recently that marketers have actively started tackling Browse Abandonment; retargeting merely used to be associated with Cart Abandonment. 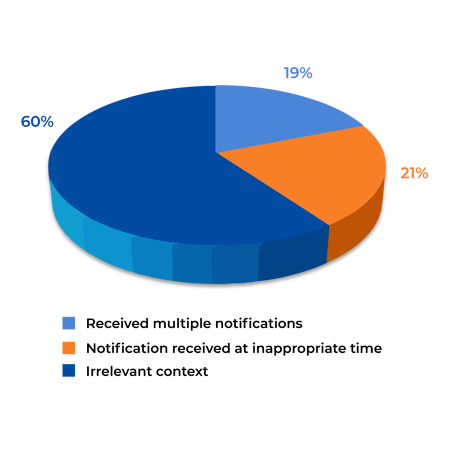 It is interesting to note that more than 42% of revenue comes from browse abandonment nurture campaigns. So much for just tackling cart abandonment! 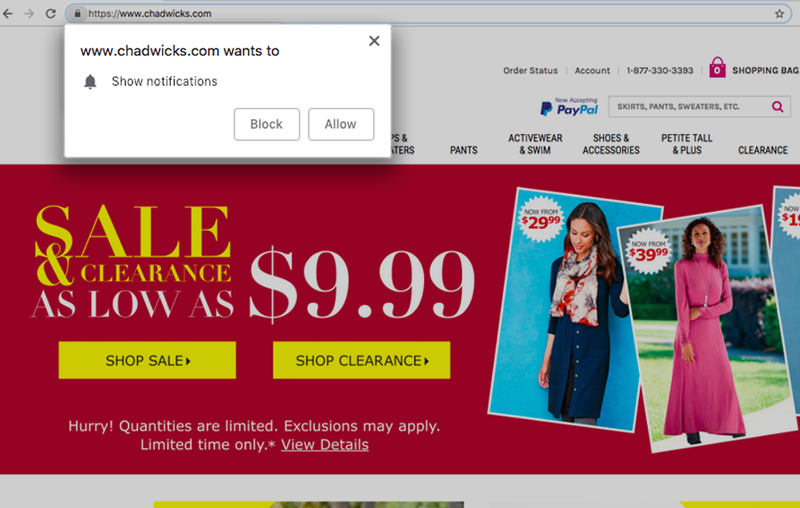 Web push notifications help you retarget both browse abandonment and cart abandonment by sending personalized notifications. 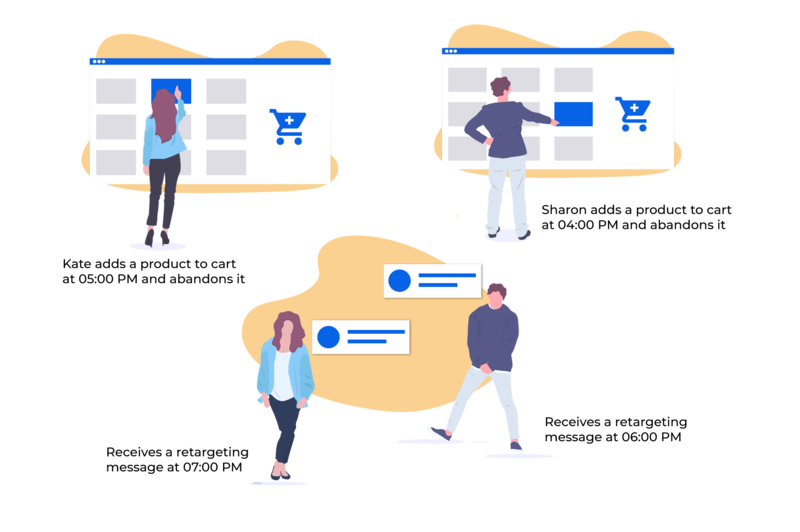 The browse abandonment campaigns have a different objective than the cart abandonment campaigns and because of this, the metrics vary. While for cart abandonment it is conversions, for browse abandonment it is CTR and Page Views. Category abandonment is when users visit your site, check out a particular category of products. For example, John comes to a lifestyle store and starts browsing for lamps in specific. This action shows he has an interest in buying a lamp. It's not every day that someone starts looking for lamps after all. But he leaves the store in a while. While there might be many reasons for him leaving, you need to make sure that he revisit your store. What you can do is inform them when new products are added to the collection or give them a first-time discount. In Ecommerce, Data over gut. Always. Get your numbers right to cater your users better. You need to track which campaigns have worked for you and double down on those. Like Check Holmes puts it - With pigheaded discipline and determination, your brand can become the ultimate sales machine. Understand the tool, experiment with different tactics and strategies and zero down on campaigns that work best for retargeting and hit that number you have always dreamt of! 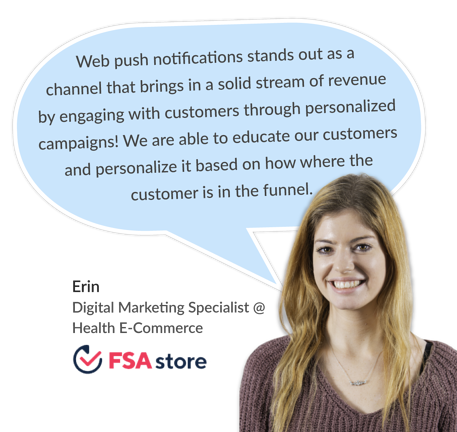 Convert more of your website traffic into sales with iZooto Web Push Notifications. Start for FREE.